Welcome to the Super 8 LAX Airport on Century Blvd. 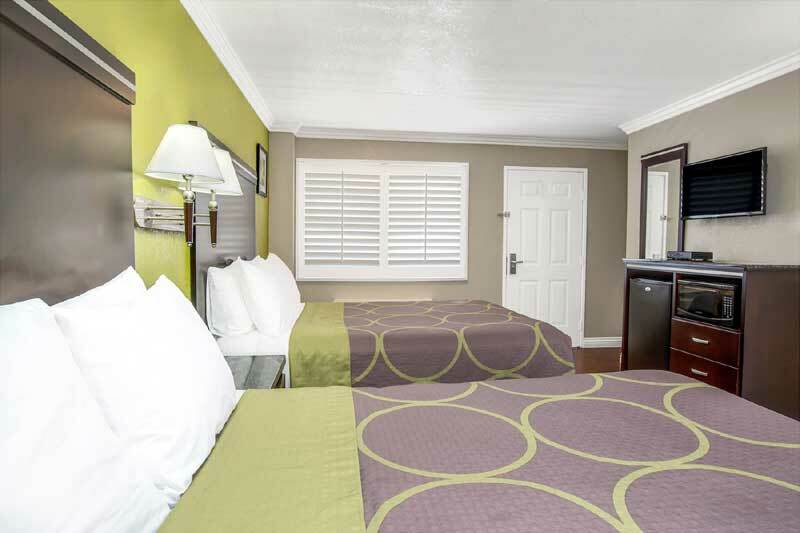 Our Super 8 Inglewood/LAX/LA Airport hotel gives you quick and easy access to the airport and the entire Los Angeles area. Our location off I-405 makes it easy to get to downtown, local beaches, and popular area attractions like Disneyland. LAX is only three miles away, and we offer convenient airport shuttle service for a fee. Our free 8-item SuperStart breakfast will get your day off to a great start. Use our free WiFi to stay connected back home and to plan your day. Each room features a microwave and refrigerator. Treat yourself to a Jacuzzi suite to unwind. We offer free parking and Park Before You Fly packages, along with an airport shuttle (surcharge) to nearby LAX with pick up from 12 p.m. until 6 p.m. and 24/7 drop off. Whether you are looking for a quick stop along the way or want to enjoy everything the area has to offer, our hotel is ideal for your travels in Los Angeles. Head over to Disneyland with your family for an unforgettable day of fun and adventure. Enjoy the heart-pounding thrill of horse racing at Hollywood Park, or go to nearby Redondo Beach to shop and dine. Play electronic or table games or just enjoy the live entertainment at Hollywood Park Casino. Activities : With so much land to explore and LA's enviable weather, some of the best recreational activities in the country can be enjoyed in Los Angeles year round. LA's 75 miles of coastline include world famous beaches from Malibu down to the South Bay and San Pedro. Explore LA's vast network of hiking and biking trails, or improve your swing at one of the county's 19 golf courses. Skiing and snowboarding are only a short drive away. Attractions : Los Angeles attractions and tours offer something for the entire family, from state-of-the-art rides to walks through historic neighborhoods. Theme parks feature incredible thrills like Transformers the Ride 3D, while famous cultural attractions include the Getty Center, LACMA and Walt Disney Hall. Casinos : Located at the famous Hollywood Park Race Park. The beautiful art-deco style casino opened in July 1994. The first Casino in the United States inside a Racetrack. Hollywood Park Casino invites the action and excitement of the most popular live casino card games with the thrill of live & simulcast throughbred wagering! In addition, Hollywood Park Casino is home to the largest charity bingo hall this side of the Mississippi and a diverse range of special events and entertainment! Dining : Los Angeles has one of the most dynamic dining scenes in the country, offering everything from street food to 5-star restaurants. From California cuisine to organic ingredients, and food trucks, LA's culinary influence can be felt across the country. Food aficionados can experience the fine dining of Wolfgang Puck, Thomas Keller and Nobu Matsuhisa, as well as a new generation of culinary stars like Kogi BBQ Truck founder Roy Choi, Top Chef champion Michael Voltaggio, and Ricardo Zarate, named Food & Wine's Best New Chef in America. Downtown : With its world class entertainment venues and museums, incredible restaurants, a thriving nightlife scene and walkable streets, Downtown Los Angeles is experiencing a renaissance. Golf : With its rolling tree lined fairways and subtle breaking greens Los Angeles offers golfers of all skill levels a challenging day of golf. Government : The City of Los Angeles is a Mayor-Council-Commission form of government, as originally adopted by voters of the City of Los Angeles, effective July 1, 1925 and reaffirmed by a new Charter effective July 1, 2000. Hospitals : L.A. Metropolitan Medical Center is an acute care hospital accredited by the Healthcare Faciities Accreditation Program (HFAP). Our medical staff of more than 350 physicians represents over 50 specialties, providing comprehensive healthcare services. Shopping :South Bay Galleria In the heart of the South Bay– only 15 minutes from LAX and Southern California's most beautiful beaches is the South Bay Galleria. Sports : The Los Angeles Lakers are a National Basketball Association (NBA) team based in Los Angeles , California . The Lakers play their home games at Staples Center , which they share with their local NBA rival, the Los Angeles Clippers , the Los Angeles Kings of the NHL , and the Los Angeles Sparks of the WNBA . University : For nearly 100 years, ucla has been a pioneer, persevering through impossibility, turning the futile into the attainable. Welcome to our great hotel in Inglewood California with affordable rates and cheap budget discount lodging. 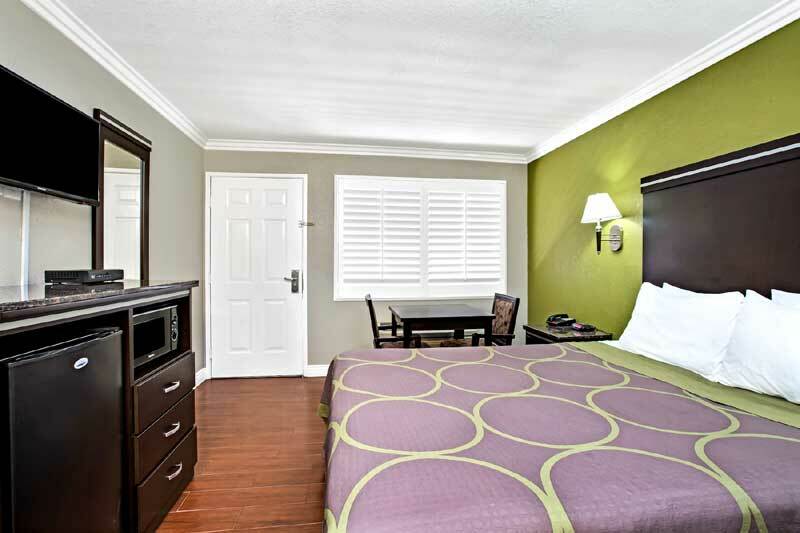 Super 8 LAX Los Angeles Airport welcomes you to our budget hotel in Inglewood California. 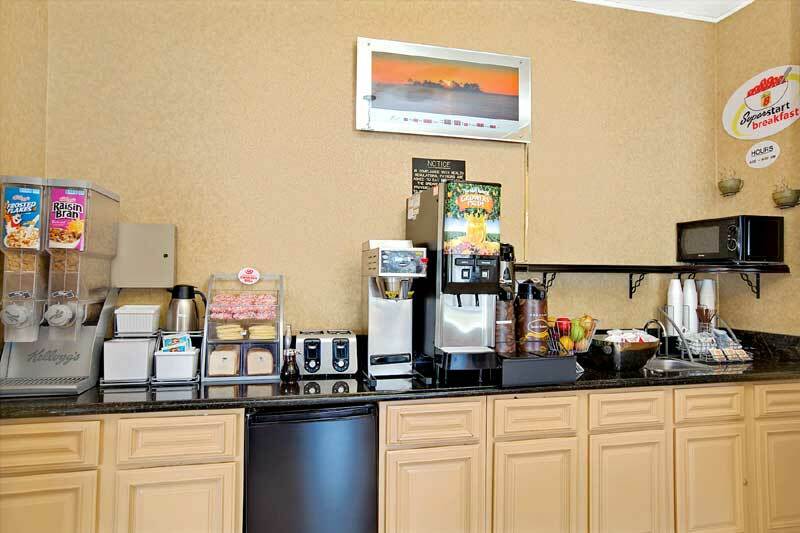 Super 8 LAX Los Angeles Airport will provide you excellent customer service with great amenities in comparison to all Hotels and Motels in Inglewood California. Please visit us on your next stay in Inglewood California and let us provide you with 4 star hospitality for 2 to 3 star budget rates. 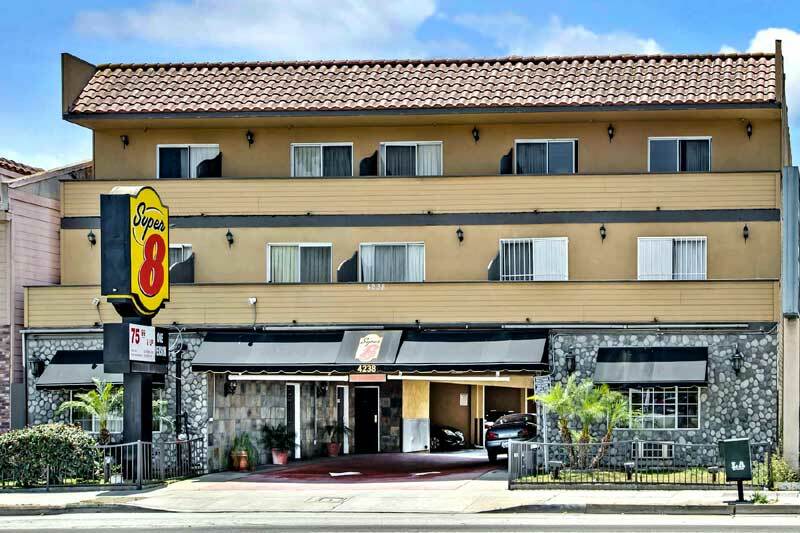 Super 8 LAX Los Angeles Airport has been providing lodging and accommodations in Inglewood California for several years and looks forward to providing our valued customer and business traveler with the best service in Inglewood California for Hotels and Motels in our local area.